Beginning on Cyber Monday (what better way to promote a Jazz Age sale!) we are offering a special bundle for the holidays! For a limited time you can order fifteen issues for the price of a dozen! It’s a great way to give personal gifts, stocking stuffers, or get the entire remaining print collection for only $90 ($138 International). You’ll get all fifteen issues still in print and only pay the cost of twelve! That’s issues five through nineteen, featuring all the great articles, interviews, and features for your whole collection! Click on “PURCHASE ZELDA” to buy the entire bundle! Our latest issue is now available for purchase, just click on the link above! We have some great features for you in these pages, from articles about the Westmore family make up dynasty to Vitagraph’s early silent films, from the birth of bodybuilding to the distinction of the bow tie. We have interviews with burlesque artist Clara Bodacious and jazz singer and musician Queen Esther, as well as our regular features: a classic cocktail of the season, Mr. Burton’s singular advice, and our ‘newest’ vintage recipe book. 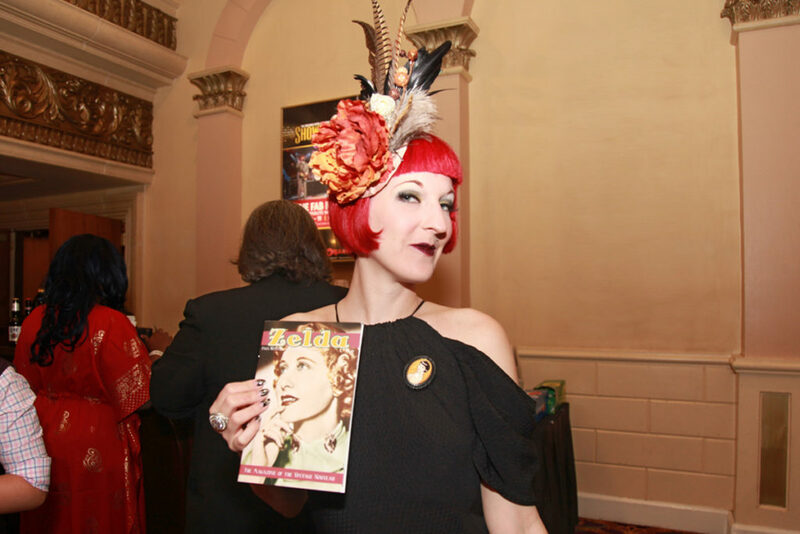 You’ll learn about Doctor Sara Josephine Baker, thanks to distinguished scholar Lily Fehler, and explore the Jazz Age and retro spots of Cincinnati. We also have shots of Jazz Age parties and happenings from all over. We are always looking to cover the latest events, so if you’ve been to one lately, let us know. And don’t forget to check out our sponsors, just click on the links to the right! After a long delay, issue 18 of Zelda Magazine is back from the printer and is available for purchase! We’ll introduce you singing idol Nora Bayes, as Michael Cumella renews her star to its former glory. You’ll see why Sally Milgrim was one of the most important designers of the early 20th Century, and why the Block in Baltimore has a history of entertaining adults. Big band leader George Gee and ecdysiastic entrepreneur Delysia La Chatt will tell you in their own words about performing under the influence of the Jazz Age in modern culture, and burlesque historian Rosey La Rouge will show how striptease secured new accessories. And when it comes to athletics equipment, Zelda mentions the unmentionables with a timeline of strapping sportsmen. Professor Esplin reminds us of a forgotten Baltimore cocktail, and Mr. Burton again gives guidance to the inquiring hopefuls. We’ll treat you to the Recipe Box, and show you around Charm City, the vintage sights and sounds of Baltimore! And if you’ve been wondering about what’s been going on since the last issue, we have a gallery of pics of all the parties. Just click the Purchase Zelda button at the top of this page for this and all other issues of Zelda Magazine! Do you have a company with an interest in the Jazz Age? 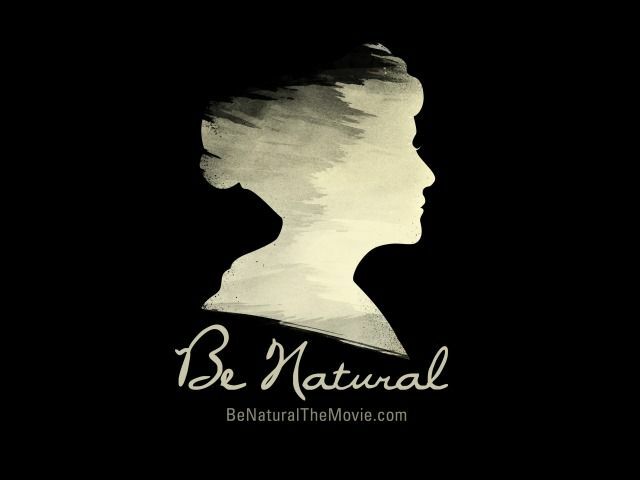 Do you like early 20th Century music, fashion, and films? Do you want to reach people around the word you like vintage culture? Advertise in Zelda Magazine! We have interviews with hot jazz musicians, cabaret, and burlesque performers, articles on jazz age history, and features on all jazz age things happening today. The next issue will be published in the late Spring/earlySummer of 2018, and we would love to have you as a sponsor. Contact us at info@zeldamag.com for our rates! The next issue of Zelda will be ready for the Spring, so get your artwork and copy in now! Issue 18 will feature the expected celebration of all things Jazz Age, plus some special items that will be sure to please. 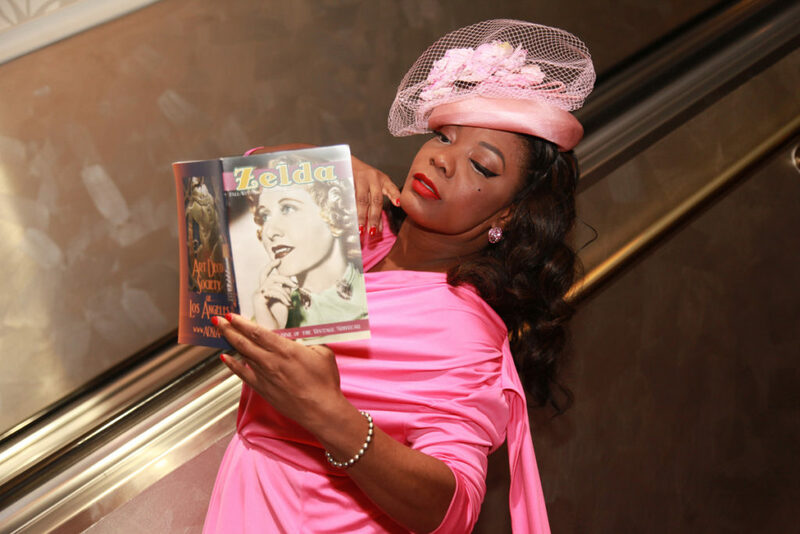 Reply to info@zeldamag.com for all the info! Gin Minsky of the Minsky Sisters, featured in the first issue of Zelda Magazine, (who also happens to co-edit Zelda) is profiled today in Racked! 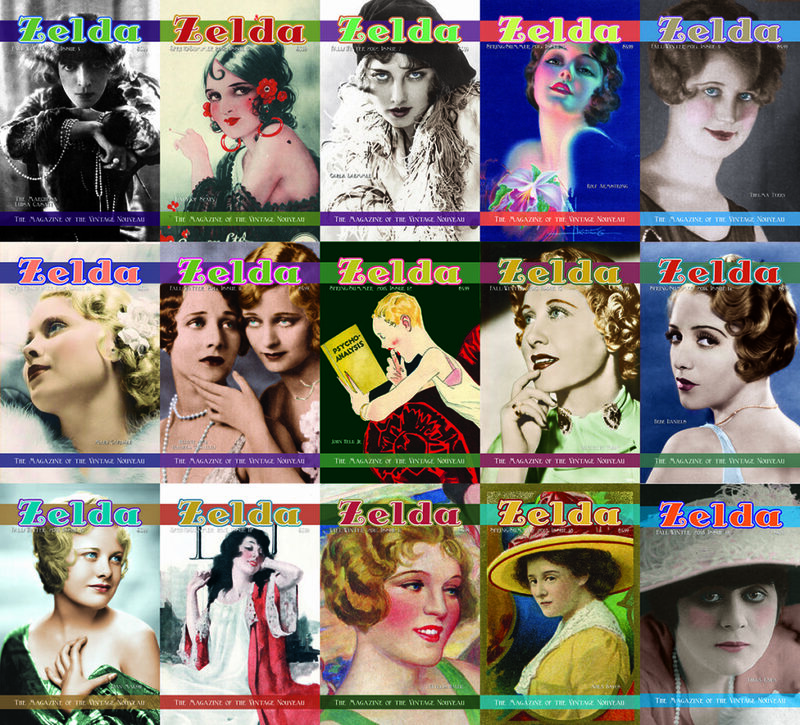 Zelda Magazine is happy to announce that our latest issue is back from the printer and available to purchase! 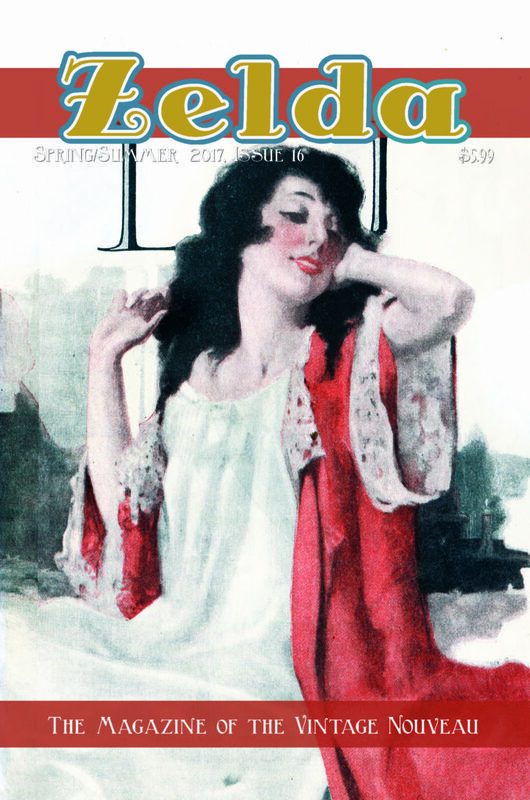 We have articles on a variety of subjects for you about Jazz Age lifestyle, arts and culture, and we especially enjoy featuring obscure and forgotten items of the early 20th Century. 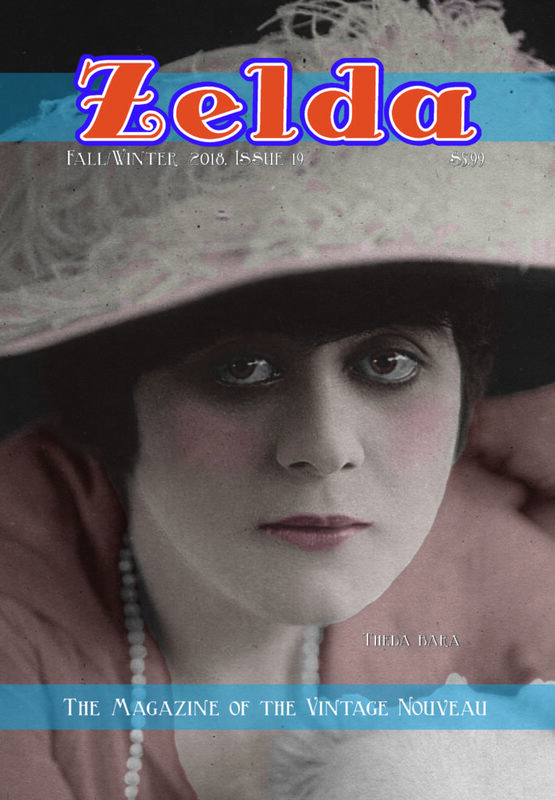 In this 16th issue of Zelda Magazine we are happy to feature R. Scott Williams piece on writer Oscar Odd McIntyre, as well as our presentation on how American’s waistcoats were fashionably buttoned completely down. And for a little style below the waist, Lauren Stowell gives us an in depth exploration of vintage footwear. 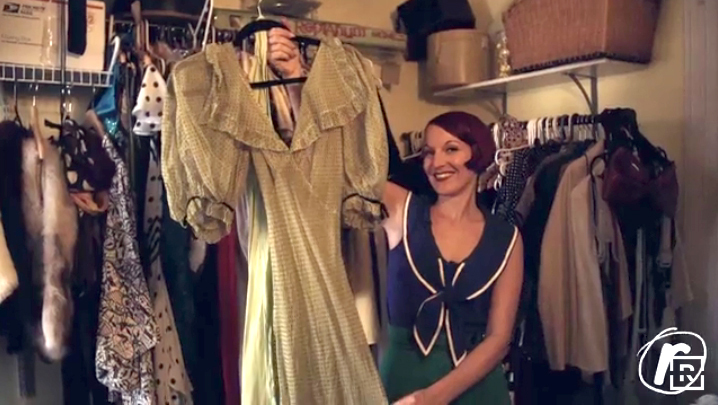 Speaking of Jazz Age Fashion, Faye Havoc explains how to jazz up your vintage lingerie, and John Coleman Darnell and Colleen Manassa Darnell give us the second half of their two part story of Art Deco Egyptomania! 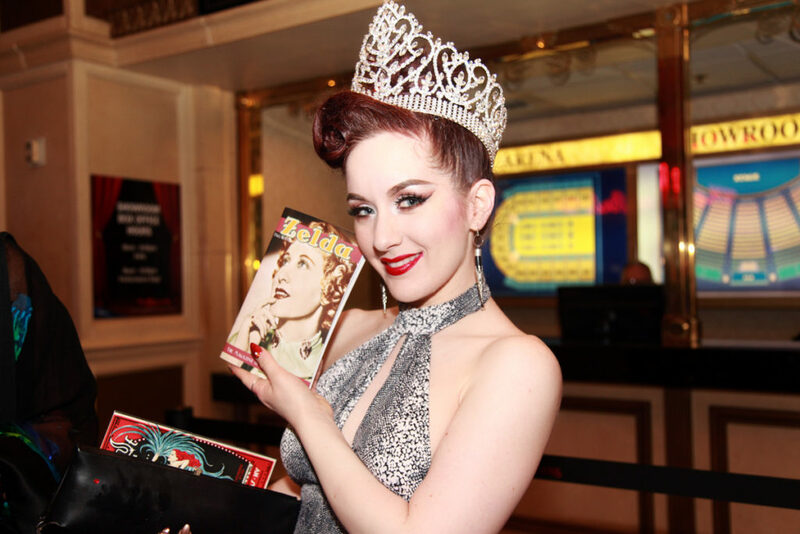 From Paris, the delectable Sucre D’Orge tells Zelda how she came to burlesque and cabaret, and bandleader Glenn Crytzer discusses his work from Seattle to New York City. Seattle, by the way, is our city feature, and we hope that if you visit that great destination, you will use Zelda as your guide. As always, we have our regular cocktail column from Professor Bryn Esplin, our insightful advice from Mr. Burton, our featured vintage recipe book, and our coverage of Jazz Age events from around the world. 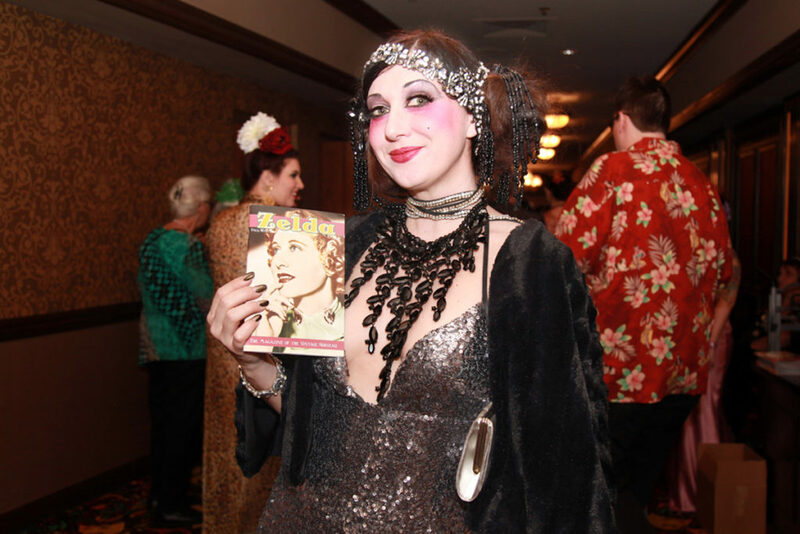 A few weeks ago the editors of Zelda Magazine attended the Burlesque Hall of Fame Weekender, an annual fundraiser for the Burlesque Hall of Fame Museum in Las Vegas, a nonprofit museum with a mission to preserve, celebrate, and inspire the art of burlesque. We are proud to announce that several performers featured in issues of Zelda have received awards at this year’s Tournament of Tease competition! And Medianoche! Featured in issue three, winner of “Most Dazzling,” and the newly crowned Queen of Burlesque, Miss Exotic world 2017!